Commercial Litigation Solicitor - Director. A Commercial Litigation Director is sought for a modern and progressive legal 500 leading regional law firm. Candidates at Partner level from any litigation background within strong regional law firms are encouraged to apply, along with Legal Directors from top 100 city centre law firms! This is a unique opportunity to head up a developing commercial litigation team across several offices. This role does not necessarily require management of people as such but is more focussed on leadership – ideally somebody with a vision who can inspire others to believe in that vision! Ideally the team is looking for a commercial litigation director/partner with a strong market reputation. 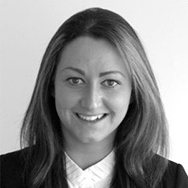 This person will be the ambassador for the commercial litigation department, helping to win business and drive the department forwards. The firm has grown extensively in the last few years through organic growth, along with some strategic appointments of individuals from top 100 law firms. They are certainly moving in the right direction – now is the time to join them! If you are an ambitious Commercial Litigation Director or Partner and you find that your firm's ambitions do not match your passion and drive, please do get in touch! To hear more about this Commercial Litigation Director/Partner role, please contact Rebecca Higgs at G2 Legal or apply online. 0121 609 1069.